ASTANA – The Asian Development Bank (ADB) recently signed a $11.5 million loan agreement with Baikonur Solar to provide the loan in tenge to build a 50 MW solar power plant in the Kyzylorda Region in southern Kazakhstan. Baikonur Solar, owned by United Green Energy and Baiterek Venture Fund, a subsidiary of Baiterek Holding, is a 50-megawatt solar power plant in southern Kazakhstan spanning 150 hectares of land. It will be the first project in solar energy development for the ADB not only in Kazakhstan, but in Central Asia in the organisation’s effort to help Kazakhstan achieve its key targets in renewable energy. Those goals include increasing renewable energy’s share of the country’s energy mix to 30 percent by 2030 and 50 percent by 2050. 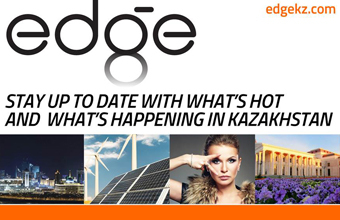 Renewable energy currently supplies just above 1 percent of energy needs in Kazakhstan. “The ADB has been financing several solar energy projects across Asia, but the loan agreement for the Baikonur Solar Power Project marks the first time for us to finance a solar project in Central Asia. An interesting feature is that we provide long-term tenge financing,” ADB Country Director for Kazakhstan Giovanni Capannelli told The Astana Times. “Today, almost 80 percent of Kazakhstan’s electricity is generated from coal-fired power plants, which are mostly outdated and obsolete. The ADB is committed to finance renewable energy projects, including solar plants, wind farms and other renewables,” he added. The project is co-financed by the ADB, European Bank for Reconstruction and Development (EBRD) and the Clean Technology Fund. The financial package includes two senior secured loans of up to $30 million in tenge equivalent from the EBRD and up to $10.4 million in U.S. dollar and euro equivalents from the Clean Technology Fund. “The project comprises the design, construction, commissioning, operation, and maintenance of the solar power plant, along with the necessary infrastructure for grid integration,” said Capannelli. 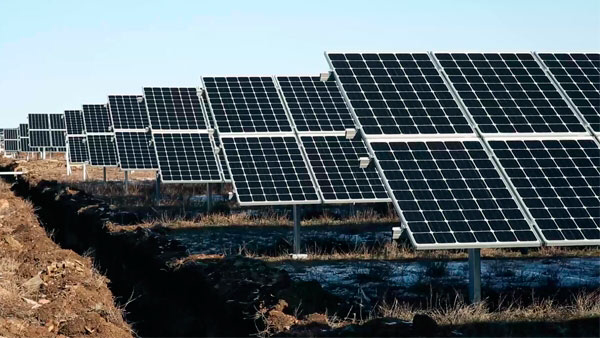 “This is our first co-financed project with the EBRD in Kazakhstan’s renewable energy sector. As peer institutions with close alignment in development goals and working relationships, we are extremely happy working with EBRD,” he said. The new plant is expected to help cut annual carbon emissions in Kazakhstan by 75,000 tonnes. “The solar project will help Kazakhstan fulfil its nationally determined contribution to the Paris Agreement of a 15 percent decrease in carbon emissions below 1990 levels by 2030. ADB’s assistance further helps private sector engagement in the energy sector, while the construction and operation of the solar plant is expected to generate employment for the local population,” said Capannelli. Financing renewable energy and energy efficiency projects, such as the Baikonur solar plant, is part of the organisation’s efforts to support Kazakhstan and among three key pillars envisioned in its 2017-2021 Country Partnership Strategy with Kazakhstan. The pillars also include help for Kazakhstan to decrease its dependency on commodity exports, assist in economic diversification and reduce inequalities through the support of infrastructure development and improving the quality of public services. ADB has supported Kazakhstan since 1994, three years after the country gained independence, and opened a regional office in 1998. It was the first office in Central Asia. This year, the partnership marks 25 years. “ADB has a strong objective to support clean energy and climate finance: it targets 75 percent of the number of its committed operations to support climate change adaptation and mitigation by 2030. We expect climate finance from ADB’s own resources to reach $80 billion cumulatively from 2019 to 2030,” he said. Capannelli noted the importance of Kazakhstan for the organisation’s activities in Central Asia. “Kazakhstan is indeed a very important client for the ADB in climate finance in Central Asia. We are also heavily involved with operations in the transport, water, agriculture, urban infrastructure, finance, and health sectors,” he said. Capannelli said the bank has approved more than $5 billion in sovereign loans, non-sovereign loans and guarantees in support of Kazakhstan’s economic and social development. “Our sovereign portfolio includes three projects for a total amount of $825 million, two in the road transport sector – for the reconstruction of the Aktobe-Makat road and one for the Zhetybay-Zhanaozen project – and one financial intermediation loan aimed at supporting micro, small and medium-sized enterprises. Our investments in the private sector include deals in energy, renewable energy and agribusiness,” he explained. The organisation’s assistance to Kazakhstan also includes providing expertise to local organisations. “The ADB fosters knowledge collaboration with the government and local think-tanks under the Knowledge and Experience Exchange Programme, promotes regional cooperation and integration through the CAREC (Central Asia Regional Economic Cooperation Programme) and is also working closely with the United Nations in providing support to Kazakhstan in achieving the Sustainable Development Goals,” he said. The ADB is also considering a project to build a wind farm.